Piqua is not your average community and Awesome Piqua isn’t your average foundation. A local chapter of the global Awesome Foundation is now up and running in Piqua. The organization’s mission is to fund projects to make a positive impact in Piqua and promote its awesomeness. So, if you are an individual or organization who would like $1,000 to make something awesome happen for Piqua, Awesome Piqua can make your idea come to life! The Awesome Foundation (www.AwesomeFoundation.org) is a global community advancing the interest of awesome in the universe, $1,000 at a time. A group of recent college graduates in Boston created the Awesome Foundation in 2009, as a way to give back to the community, within their limited means. Since then, more than 80 Awesome chapters have been founded around the world, with each fully autonomous chapter supporting awesome projects through grants, usually given out monthly. These grants come out of pockets of the chapter’s “trustees” and are given on a no-strings-attached basis to people and groups working on awesome projects. 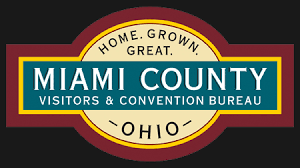 Awesome Piqua, the first Awesome Chapter in Ohio, is made up of sixteen trustees from different walks of life and ages, who generously contribute to make the $1,000 grants. The grants come with no-strings-attached and claim no ownership over the projects they support. We do not wish for the funds to be repaid. Awesome Piqua (www.AwesomePiqua.org) is focused on funding new projects which will make the Piqua community a better place in which to live and work – the mission of Positively Promoting Piqua, which is the creator and main organizer of the local chapter. The idea to create a chapter of the Awesome Foundation came from the June 2015 “I Love Piqua” workshop. Piqua City Manager Gary Huff noted: “At the workshop, Peter Kageyama, author of the book “For the Love of Cities”, encouraged communities to find ways to “surprise and delight” their citizens.” Awesome Piqua intends to give away $1,000 to groups or individuals who have a new idea or project that will do just that for Piqua’s citizens. 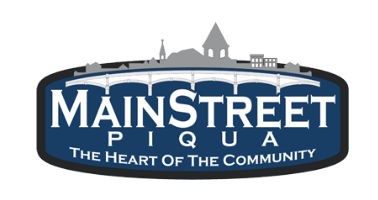 Generally, an Awesome project should make Piqua citizens feel better about our community, be a new activity or event which benefits the community as a whole, or a section of the community. Awesome projects include creative initiatives in a wide range of areas including recreation, arts, technology, community development, and more. Many awesome projects are novel or experimental, and evoke surprise and delight. Awesome sometimes challenges and often inspires. Projects can have an educational goal, such as teaching school children about growing vegetables and plants so they learn where our food comes from; or a recreational goal, such as inspiring people to use our recreational path and water assets; to all kinds of other ideas. Our one main goal is that people have FUN. Applications can be made by individuals, groups or non-profit organizations, alike. Grant recipients do not need to be approved charitable 501c3 organizations. Applications can be made by visiting the Awesome Piqua website at www.awesomepiqua.org and clicking on the “Apply Here” link at the top of the page. Generally, every month the Awesome Piqua trustees will review the grant applications received, discuss the awesomeness of each new idea and choose the winning idea to receive the $1,000 grant, no-strings-attached. What’s the catch? That’s the best part – there is none! Share your awesome idea. If your grant application is selected, you’ll receive $1,000 to implement the idea. And put your awesome idea in motion! Anyone with a truly awesome idea can get some support to take their initiative to the next level, with some assistance from the Awesome Piqua organization! Information on the organization can also be found at www.facebook.com/awesomepiqua. Come help us make Piqua even more Awesome!